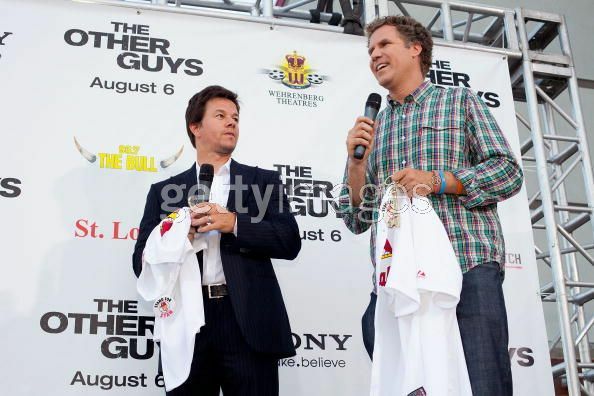 As promised, Will Ferrell and Mark Wahlberg appeared at the closest movie theatre to an airport in the St. Louis area, signed some stuff, talked to some people and local media and answered a few questions…just until the helicopter dropped down to airlift them the hell out of the giant strip-mall in a flood plain we call Chesterfield. We have a few pictures courtesy of Getty Images, which really didn’t need to be said because they still have their watermark on them. Guess what though? Images are really expensive and apparently you can only rent them now for three months at a time. Freaking ridiculous. 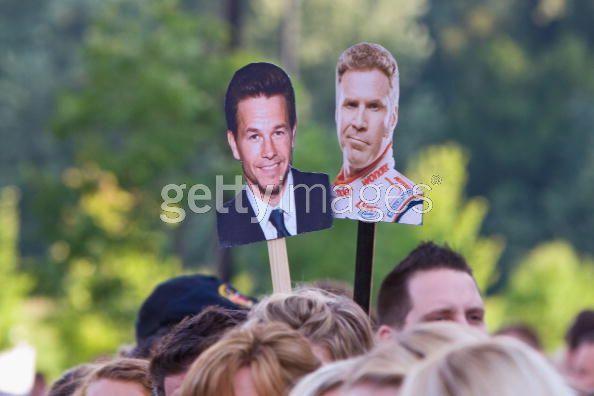 If we were going to spend that much money on something it sure the hell wouldn’t be for photos of Mark Wahlberg, plus the memories of crying until getting up the courage to actually take my shirt off right when our time runs out will last forever. Did anyone see the movie last night? Was our guess summary (bottom of post) on the money?